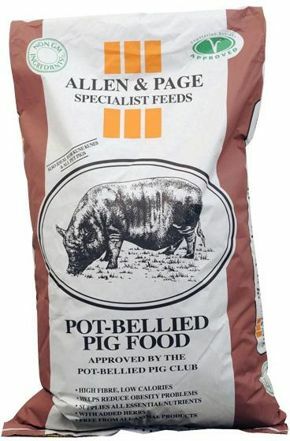 Pot-Bellied Pig Feed is specially formulated to keep your pigs trim and to help reduce heat stress. Feed at 1-2% of body weight, 0.75kg-1.5kg depending on age, size and condition. Introduce a new feed gradually over 7 to 10 days to help a smooth change over. This feed should be fed with ad lib fresh water. Do not feed to sheep.